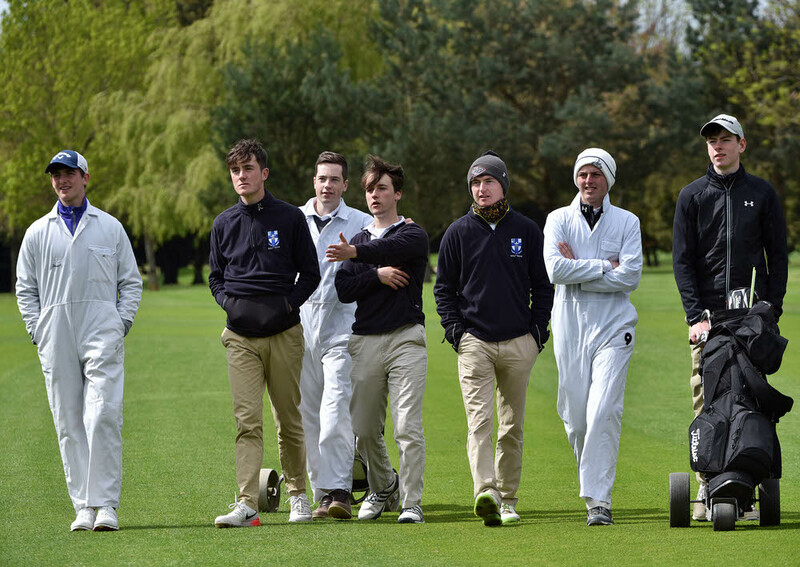 Ryan O’Connor clinched the winning point as De La Salle Waterford beat Blackrock College to capture the Irish Schools Senior Championship at Lucan. 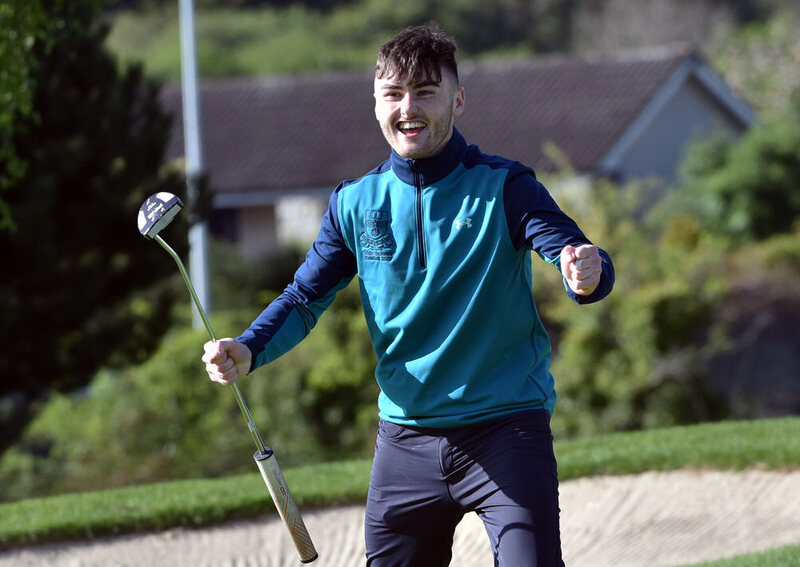 The Waterford Castle player beat Woodbrook’s James Cronin 3 and 2 in the decisive match to give De La Salle Waterford a 3.5 to 1.5 win overall after earlier victories for Andrew Mulhall (5&4) and Charlie Dawson (3&2) put the eventual champions within one point of overall success. De La Salle Waterford beat Presentation College Athenry 4-1 in their semi-final as Blackrock beat Sullivan Upper, Rory McIlroy’s alma mater, by the same score in the other semi-final. The All Ireland Schools Junior Championship takes place on Wednesday with St Michael’s College from Dublin, Coleraine Grammar, St Colman’s, Claremorris and Waterford’s De La Salle battle for the title. The two best stroke play scores for each team will count. 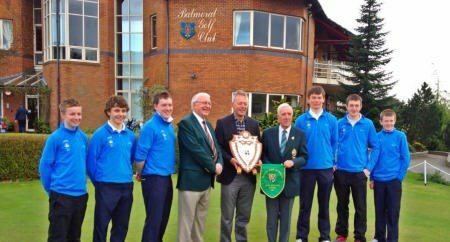 Rice College Westport receive the Irish Senior Schools pennant from GUI President Ivor McCandless. Rice College Westport sensationally claimed the Irish Senior Schools title with a clearcut 4-1 win over 2011 champions De La Salle, Waterford at Balmoral. 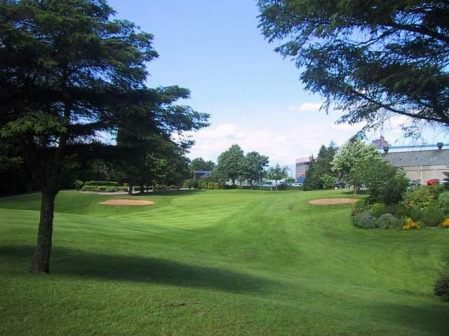 Balmoral Golf Club. Ballinrobe Community School made it a Mayo double by clinching the Irish Schools Junior title in Balmoral by a single shot in a dramatic finish, with Colaiste Muire Crosshaven the unlucky runners-up. Harrington and Sergio make peace at Rory's wedding: "We’ve always gotten over it for the Ryder Cup"